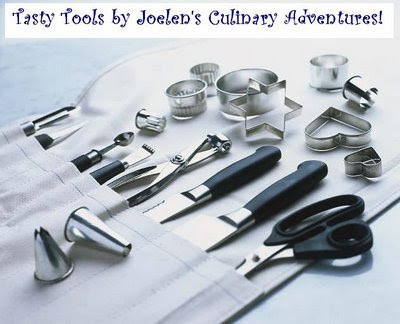 November Tasty Tools: Roasting/Braising Pans! 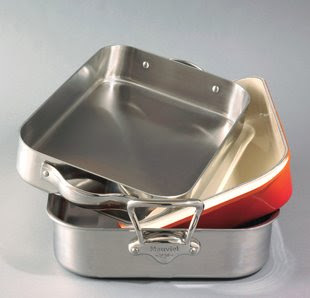 For November's Tasty Tools, we're highlighting Roasting & Braising Pans! This is one piece of cookware that will be especially used this month for the many Thanksgiving celebrations happening. However aside from turkey, this piece of cookware has many other uses. I use my roasting pan for roast chicken, pork & lamb roasts, large batches of caramel corn, even lasagna! It's a great piece of cookware that every kitchen should have and it can be used throughout the year - not just for turkey on Thanksgiving! So if you happen to use a roasting or braising pan for any of your cooking and/or baking this month, submit a recipe you've made in a roasting/braising pan to the event all throughout the month of November. 1) Make a recipe using a roasting/braising pan and create a blog post about it from now (the date of this post) until midnight, November 30th. I like all the changes you've made to your blog. Very spiffy! I just sent you an email entry for your Tasty Tools: Roasting Pan edition. Thanks for hosting another fun culinary adventure!